(Across from Arena Stage, where Maine Avenue turns into M Street SW.
LAURA CHOI STUART appears regularly with the Washington Bach Consort and the Washington Master Chorale, in addition to solo appearances with many area ensembles. Hailed as “a lyric soprano of ravishing quality” by the Boston Globe, Laura Choi Stuart has appeared on the mainstage with Boston Lyric Opera, Opera Boston, Annapolis Opera, Lake George Opera, the In Series, and Opera North in roles including Musetta, Adina, Gilda, Pamina, and Frasquita. ERICA HARMON is an alto singer who is the music director of Runnymede Singers and a professional singer at Washington Master Chorale. She studied vocal performance at Shenandoah University. 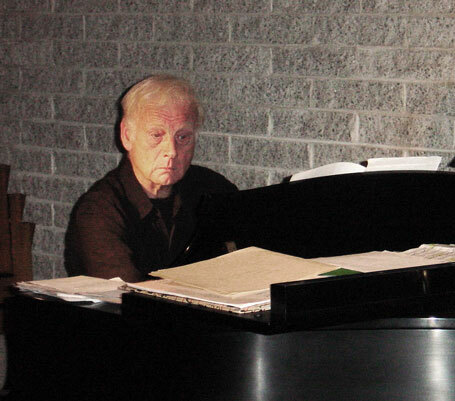 DAVID EHRLICH, founder and director of SWCP, learned the piano at six from his father Richard. Despite having learned at the age of seven that he was not destined to be the next Horowitz, he persevered throughout his life as an amateur, ultimately discovering the joys of making music with others through chamber music workshops. JULIA GOUDIMOVA, our Russian-born cellist, was a student of a student of the much-loved Mstislav Rostropovich, conductor of the National Symphony. Before crossing the Atlantic, she’s done recitals and chamber music in Belarus, Moldova, Germany, South Korea, Bahrain and Saudi Arabia; since then, has been actively participating in the musical life of Virginia, specifically at Washington and Lee University in Lexington. The Southwest Chamber Players is a loose aggregation of over 100 dedicated amateur musicians who have performed at Saint Augustine’s Episcopal Church in Southwest Washington for the past twenty years. 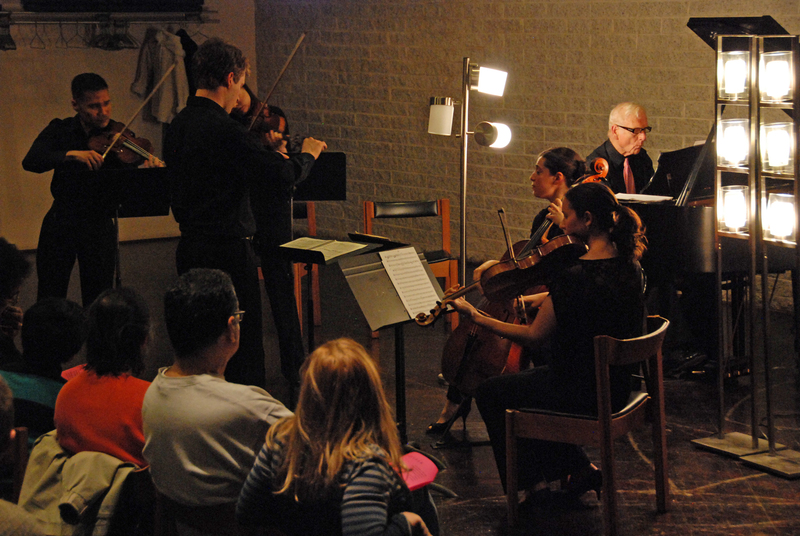 Formed in March 1997, we have presented concerts of fine chamber music nearly each month since. Including every one of the orchestra’s instruments as well as singers of every voice range, our repertoire has extended from Bach and Telemann through Prokofiev and Barber, with heavy emphasis on the works of the great composers of the classical and romantic eras. Tonight marks our 186th appearance on the performing stage from its three-year exile to celebrate this magnificent new church! David Ehrlich, the director, learned the piano from the age of six from his father, Richard. Though his life’s work was in the retail business, he never lost touch with performing music as both pianist and singer. Today he burnishes his skills annually at the University of North Carolina’s chamber music workshop in Chapel Hill; he also sojourned in Spartanburg, South Carolina; Lexington, Virginia; and Lyndonville, Vermont. Our website southwestchamberplayers.org lists a fair sampling of past concert programs as well as biographies of many of the performers. No required dollars change hands. None of the performers is paid; admission to concerts is free, though we do gratefully accept donations to offset the minor expenses of publicity and post-concert receptions. SWCP attracts much of its audience from the Southwest community, and for years maintained a mailing list of several hundred until our church venue was razed in 2014. For more information,or to add your address to our postal mailing list, email David Ehrlich at david@southwestchamberplayers.org or call him at (202) 484-6354. 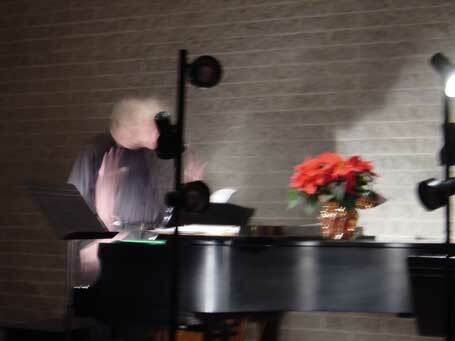 Visit our friends, the Friday Morning Music Club, at http://www.fmmc.org.